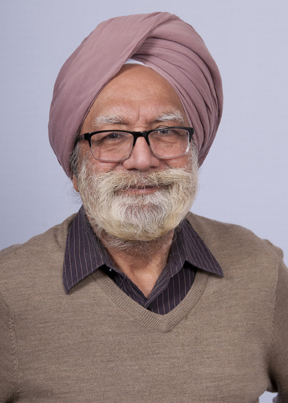 Dr. Singh's primary skills & interests are in the fields of Combustion, chemical kinetics modeling and energy conservation. Following are the few current Research Projects. "Rapid Continuous Determination of Nitric Oxide Concentration in Exhaust Gases," Journal of Air Pollution Control Association, Vol. 18, pp. 102- 105, 1968. "Reactions of CO in the Afterfiame Zone of Premixed Ethane/Oxygen Flame," with R.F. Sawyer,l3th Symmposium (International) on Combustion, P. 387, The Combustion Institute, 1971. Environ. Science and Technology, Vol.7, p.1034, November 1973. "Energy Conservation in Changing from Dual Duct System to Variable Air Volume System," with J.B. Olivieri, ASHRAE Journal, July 1977. ASHRAE Transaction, No.2665, RP215, Vol.88, Pt. 1, 1982. "Effects of Radiant Cooling Panels on Temperature Stratification," No. 2699 RP-260, ASHRAE Transactions, Vol. 88, Pt. 2, 1982. ASHRAE Transactions, Vol.93, Pt. 1, 1987. "Investigations in Heat Transfer I Natural Convention in a Rectangular Enclosure with suspensions of Microencapsuled Phase Change Materials"- A parametric study: with Partha Datta, and Subarata Sengupta; Experimental Heat Transfer, Fluid Mechanics and Thermodynamics, pp 923-933, 2001. Gold Medal for First Position B.S. Mechanical Class - 1960.